Genetics Condition: Neurofibromatosis Type 2 (NF2) is a rare genetic condition. 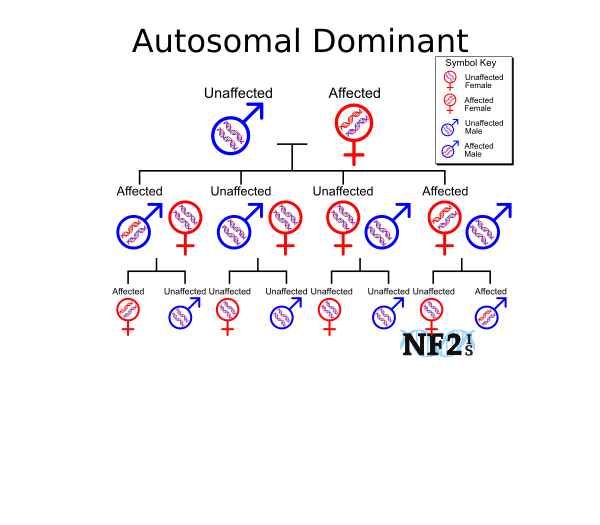 NF2 results in condition development before birth but often unnoticed until later in life. 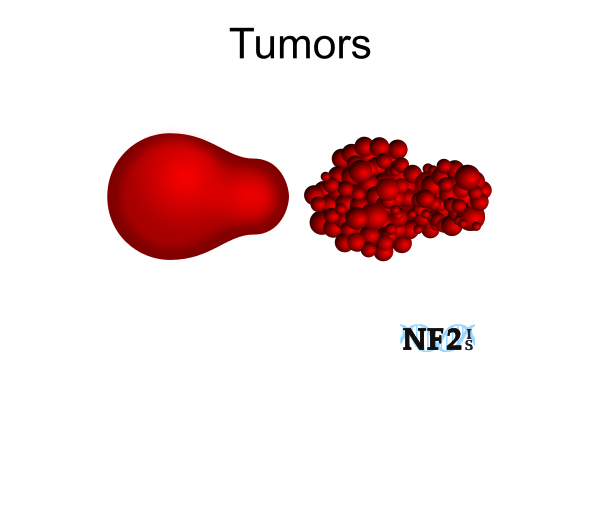 Neurofibromatosis Type 2 (NF2) results in benign (noncancerous) tumors which can manifest in different ways and, can become malignant (cancerous). 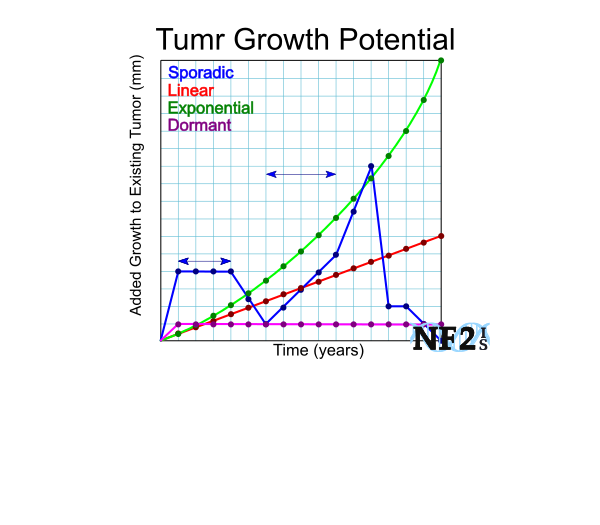 Tumor Growth Rate - Inconsistent: Neurofibromatosis Type 2 (NF2) tumor size can change from month to month and year to year. Nerve Tumors: The Neurofibromatosis Type 2 (NF2) schwannoma tumors grow in the central nervous system; along cranial nerves in brain as well as along the spinal cord. 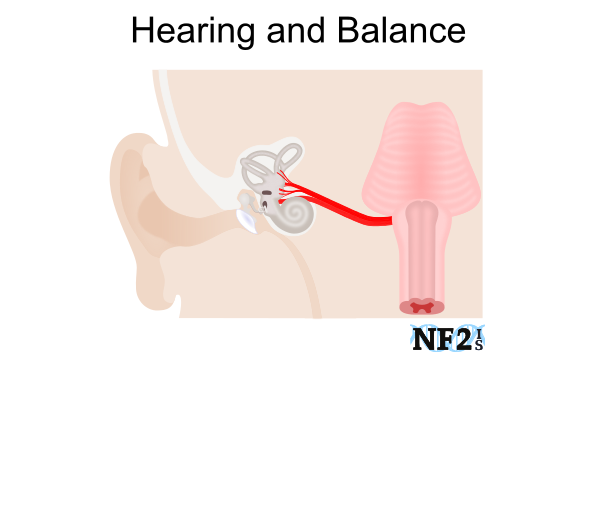 Hearing / Balance: Some people with Neurofibromatosis Type 2 (NF2) develop only tumors that damage hearing and balance. 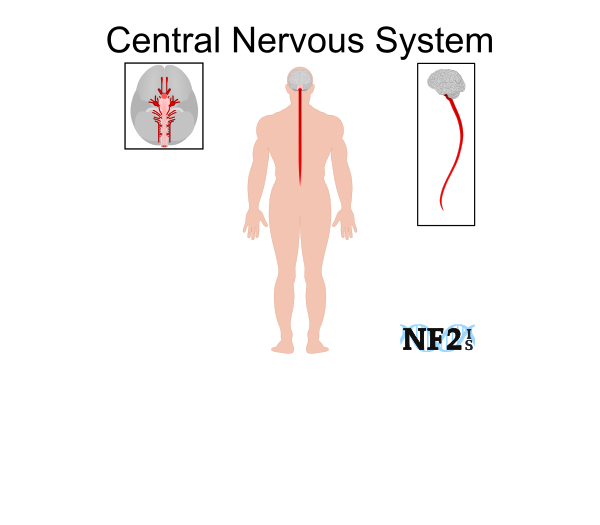 Peripheral Nerves: Neurofibromatosis Type 2 (NF2) tumors are not limited to brain and spinal cord, they can be on nerves in extremities as well as tumors seen as bumps just below the skin. 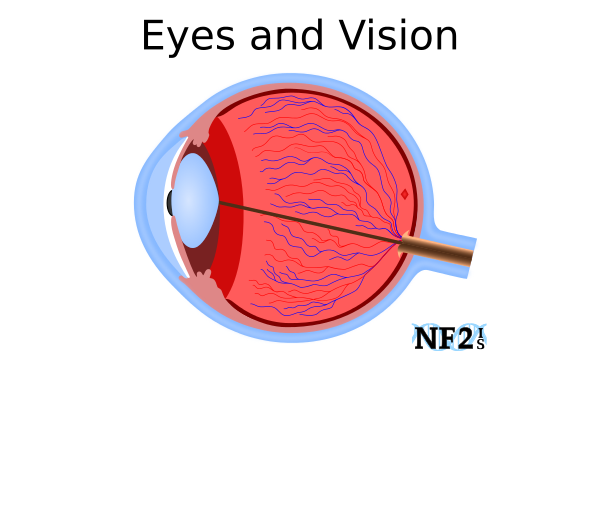 Eye Issues: As a neurological condition, NF2 can result in eye issues including juvenile cataracts or complications that can result in blindness. 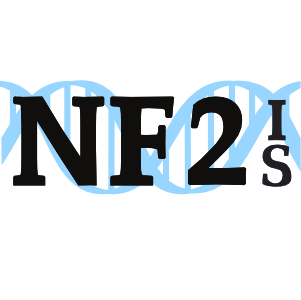 Neurofibromatosis type 2 (NF2) is a rare genetic condition with a missing or damaged tumor suppressor protein that results of typically slow growth of two to hundreds of tumors during an individual's life. Each tumor might have a different pattern of growth, and some or all can potentially stop growing for years. There is no cure for NF2. When doctors and people with NF2 understand the possible risks of the condition, ideal treatment options can be sought out to prevent or delay serious health issues. "If you are facing NF2 just remember never give up! ", from the NF2 community.